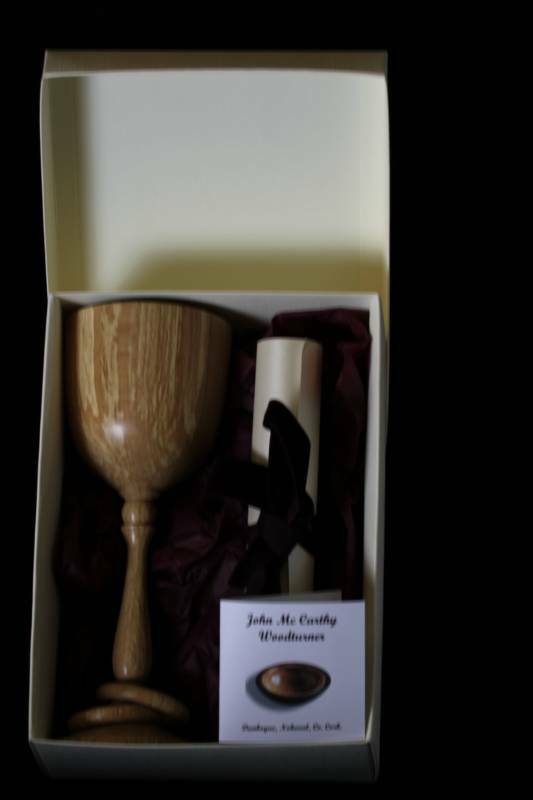 Celtic Wedding Goblet, hand turned in Irish Ash. Ash Bowl, hand turned from Irish Ash. 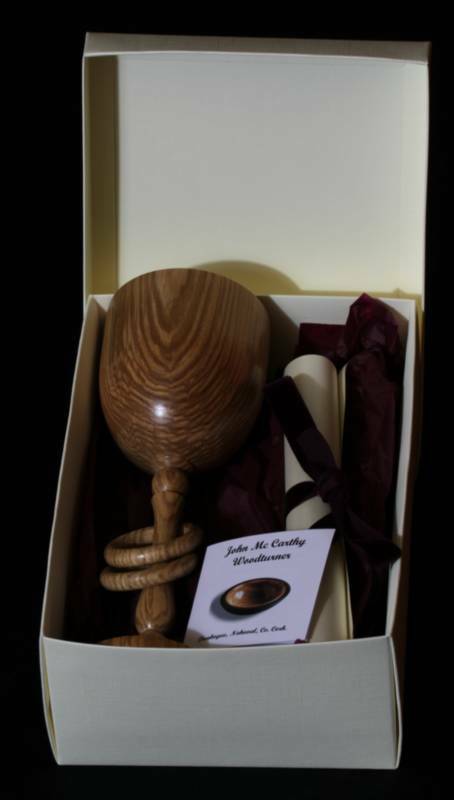 Gift voucher for one day's one to one woodturning course at my workshop in Nohoval. All wood, tools etc. provided. Lunch included. 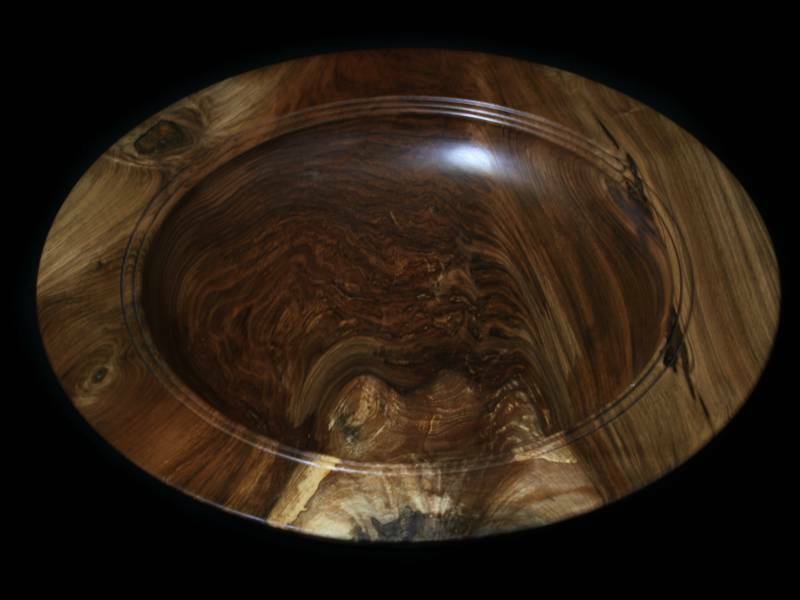 Large handturned Bowl made from Irish Walnut. 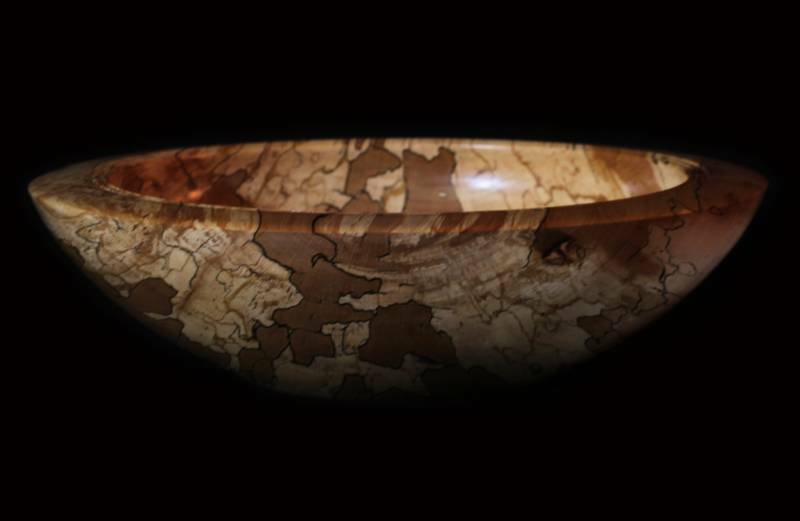 Spalted Beech Bowl hand turned from native Irish timber. Bell shaped ringstand handturned in native Irish Yew.